Students get excited after they receive blankets as gifts during a blanket drive at Monte Cristo Elementary on Wednesday Dec. 20, 2017, in Edinburg. 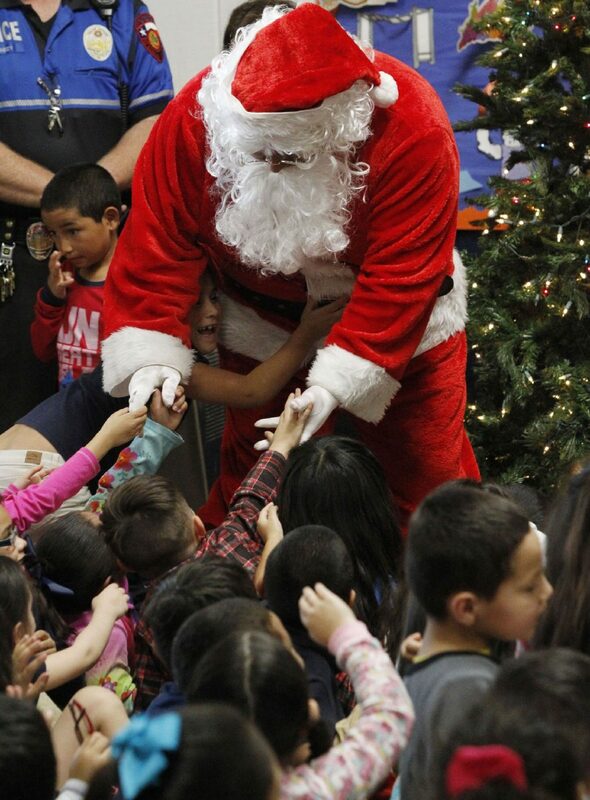 EDINBURG — Dozens of pajama-clad students ambushed Santa Claus as soon as he walked through the gymnasium door of Monte Cristo Elementary School on Wednesday afternoon. 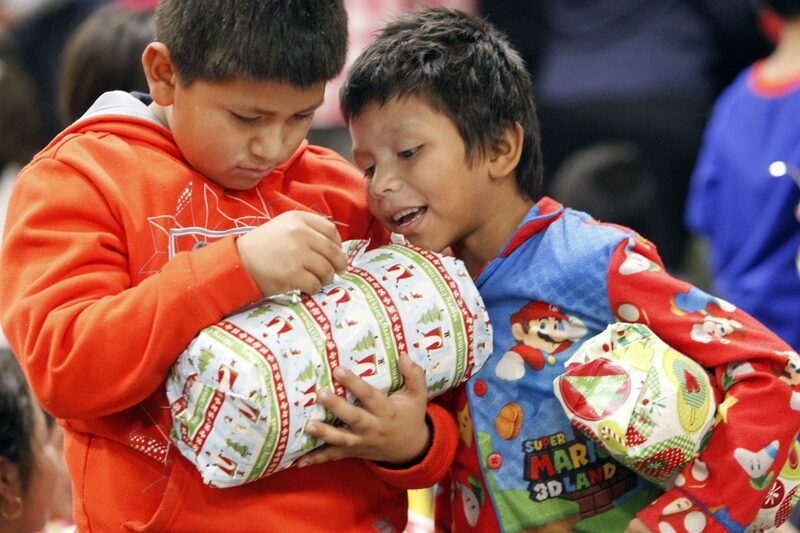 School officials gathered every single child who attends the school in north Edinburg to make sure they received a blanket this Christmas, and when Santa started to unpack his bag, the kids went wild. The school collected more than 1,000 blankets after first-grade teacher Ruth Espiricueta posted a heartbreaking letter to Santa from one of her students. Seven-year-old Crystal Pacheco asked Santa for three things, two of which are basic necessities: a ball, food and a blanket. The post went viral after the teacher’s friends and family began sharing it on social media. By Wednesday afternoon, the young girl’s wish had reached over 71 million people, school district spokesman Romeo Cantu said. 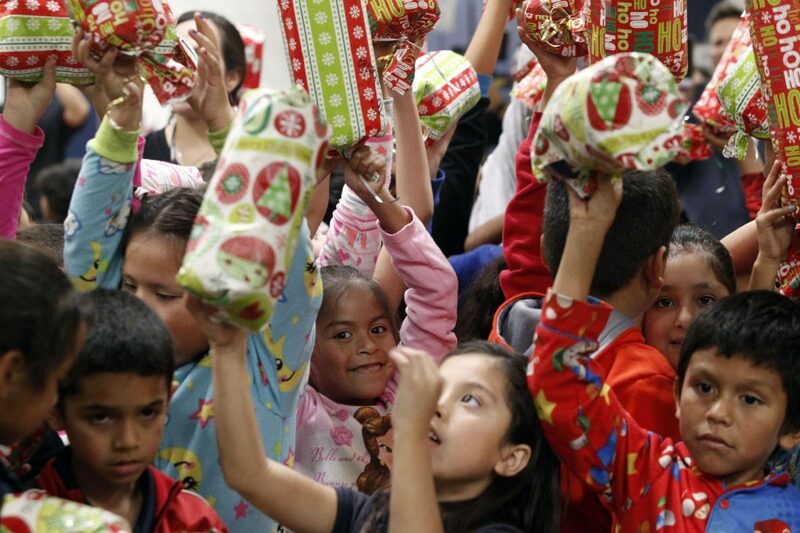 Crystal Pacheco, 7, is seen at an assembly for a blanket give-away for the students at Monte Cristo Elementary on Wednesday Dec. 20, 2017, in Edinburg. Students raise their rolled up blanket gifts that were given to them by school administrators and Santa Claus during a blanket drive at Monte Cristo Elementary on Wednesday Dec. 20, 2017, in Edinburg. Ruth Espiricueta, a first-grade teacher, is chosen Teacher of the Year at Monte Cristo Elementary on Wednesday Dec. 20, 2017, in Edinburg. Students wait their turn to get their gifts during a blanket drive at Monte Cristo Elementary on Wednesday Dec. 20, 2017, in Edinburg. Santa Claus is greeted by many screaming students at Monte Cristo Elementary on Wednesday Dec. 20, 2017, in Edinburg. Espiricueta, who was visibly touched by the outpouring of support, was beaming with gratitude at Wednesday’s event. Espiricueta described Crystal as a happy little girl who is always willing to help and share. After reading the letter, the first-grade teacher — who had also been Crystal’s kindergarten teacher — felt guilty. 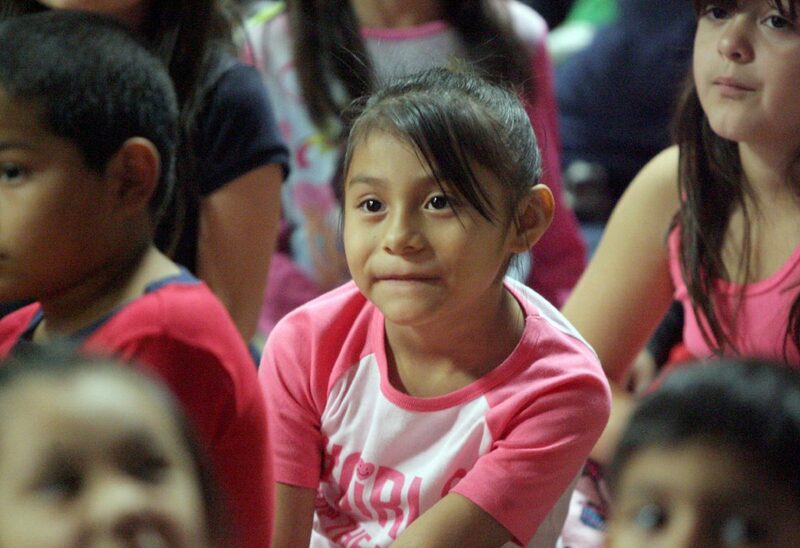 Crystal is just one of several hundreds of thousands of children who live in poverty throughout the Rio Grande Valley, where nearly half of all children live below the poverty line. 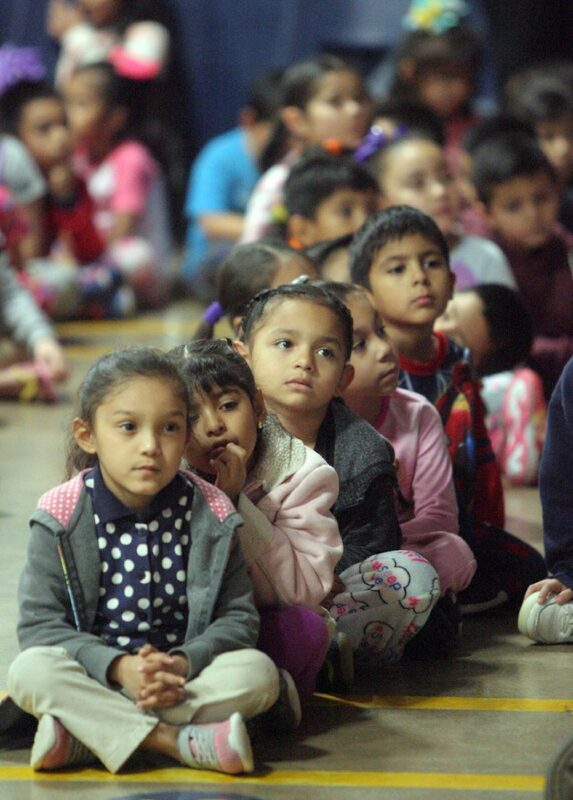 In Hidalgo County, about 45 percent of children live in poverty, and in neighboring Cameron County, the child poverty is the highest in the state at 47 percent. “They all have some type of need,” Espiricueta said. The school serves children living just north of the school in the Bar Number 5 colonia, which is one of the poorest areas in the county, but less than 2 miles away sits La Sienna, a new mixed-use development with high-end homes. Crystal’s mother Maria Cortez is a timid woman who appeared overwhelmed with the recent media attention her family has received. She shied away from the cameras, but said she was grateful for the love and support that has been expressed to her family. It wasn’t until school officials visited her at her home Friday that she realized her family had been thrust into the spotlight with the story being reported by news outlets around the nation.